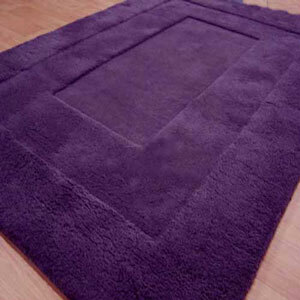 Karma rugs, if a deep luxurious wool pile shaggy rug is required then look no further than our Karma range. The Karma range incorporates three varying pile heights to give a stepped raised effect, the outer edge is around 5cm in thickness. Karma rugs are handmade in India, the pile is made from 100% wool, the pile weight is 2500 gr/m2. Karma rugs can be bespoke to your required size. Please note due to the nature of wool pile rugs this rug will shed slightly when new.